The holidays are supposed to be filled with family and good cheer, right? Not so fast . . . For those living with dementia, the holidays are anything but joyous. Why is that? Is there any hope to change things? 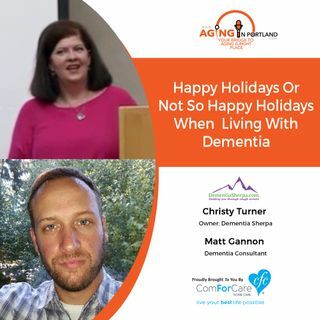 Join our super guests, Matt Gannon and Christy Turner, as they discuss how you can bring a little holiday cheer back to those living with dementia.